Are you keeping everything clean and tidy in your student house? It’s more than likely that you’re not, but don’t worry, this is perfectly normal. Living with your friends is a fun experience, and it’s understandable that the last thing on your mind is cleaning. However, it’s important to keep your house clean for many reasons such as, to get your deposit back, to create a healthy living environment and much more. Cleaning is usually not very exciting, so how can you make it a little bit more manageable? In this blog we will share with you our 6 tips to help you keep your student house clean. You and your housemates will usually have varying standards of what constitutes a clean house, but getting angry and frustrated with them when they don’t clean up their mess isn’t going to solve anything. It’s very important that you communicate your thoughts in a friendly and polite way, even if you want to shout at them to start pulling their weight when it comes to the washing up and other tasks. The best way to avoid conflict when cleaning is to create a cleaning rota for example, your job might be to take the rubbish bins out every week, whilst someone else might be on washing up duty. This will mean that everyone knows their individual responsibilities so that if anyone doesn’t do their job they can be held accountable. You would be surprised how many student houses end up in a horrible and dirty state, so don’t wait, make sure you create a cleaning rota before you end up in a similar position. The best way to keep your student house clean and tidy is to make it a habit, set a day and time for cleaning every week. If you and your housemates all act as a team then you will get everything done in no time at all, but if it’s just one person doing everything you might find yourself having a few arguments. If you’re still not feeling very motivated to go and get the Fairy Liquid out then money might just be the motivation that you need. But how is cleaning going to earn you money? Well, it’s not, but it might just save you that deposit you paid on your house before you moved in. Landlords are notorious for being very difficult with students, and they will pick up on absolutely anything they can to get their hands on your deposit. So guess what? If you and your housemates haven’t cleaned properly throughout the year, then you could find yourself having to pay mum and dad back. If you are currently living in a student house then you will know what we’re talking about. For those who aren’t yet, imagine what your kitchen and bathroom would look like if you were living with 5 or more friends who didn’t clean up after themselves properly. It’s not uncommon to see mould and damp in the bathroom, not to mention the amount of clutter that gathers from having soaps, shower gels, shampoo, toothpaste and much more all in one room. So it’s important to be respectful of your housemates and a great way to do this is to minimise clutter, ask everyone to keep their toiletries in their rooms. This will create a lot more space in the bathroom, making the process of cleaning much quicker. There are going to be periods when you and your housemates will all be away from the house, this could be on your reading weeks, or perhaps during the Easter holidays. Before you all leave, make sure that you have taken the rubbish out and given the house a proper clean to avoid a nasty surprise when you return. When rubbish is left in the house it will cause a terrible smell and you could even get flies, which is definitely not something you want. 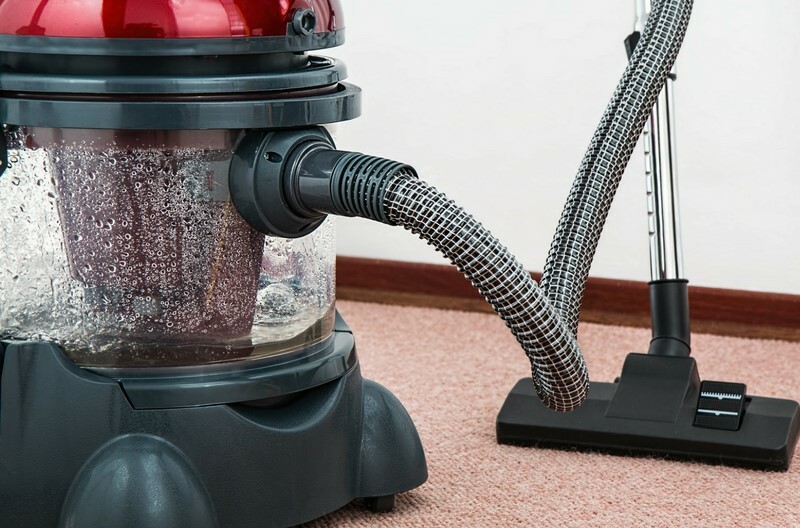 Cleaning doesn’t have to be a long process, so when there is a spill it’s best to clean it up straight away, if you leave it for longer then it will only become more difficult to remove. It’s also very important to have a set of good quality cleaning products that will make cleaning fast and effective! We hope you found this blog useful and if you would like to know How to make the most of your first year at university then check out our blog. And with Easter right around the corner, take a look at our huge range of gift packs on offer.